There are lots of good reasons not to shutter the University of Iowa’s Labor Center. For starters, any such move would be rash, shortsighted, and wasteful. The Labor Center’s core continuing education mission teaches labor leaders about workers’ rights, about civil rights in the workplace, and about occupational health and safety. Those who have benefited from these courses over the years credit the Labor Center with helping them — and their local unions — sustain workplaces which are safer and more equitable. For the pittance in state funds (about $500,000) devoted to the Center, the returns the state — in fewer harassment claims, fewer workers’ compensation settlements, fewer cases of wage theft — are incalculable. 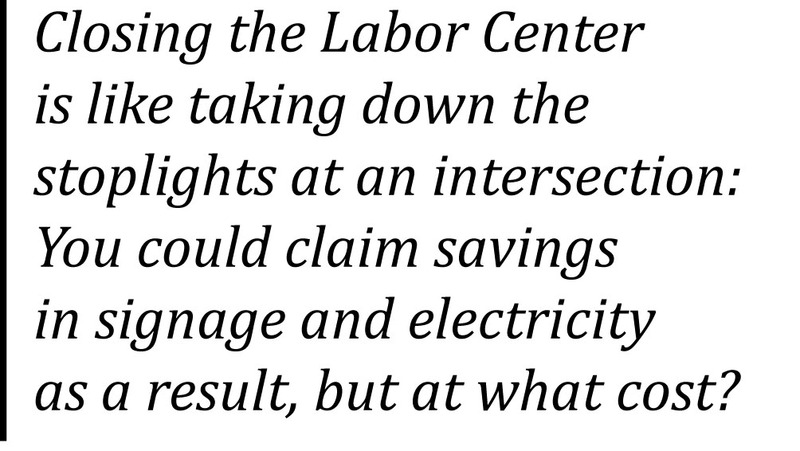 Closing the Labor Center, in this respect, is like taking down the stoplights at an intersection: you could claim savings in signage and electricity as a result, but at what cost? In turn, the threat to the future of the Labor Center — the only academic center in the Regents system devoted to work and workers in Iowa — sends a terrible message to the state’s working families. In an era of spiraling inequality, when the combination of stagnant incomes and rising tuition are putting a college education increasingly out of reach, do we really want to harden the perception that the state’s universities only serve the interests of the upper classes? There are about 1.6 million wage earners in Iowa, a quarter of whom do not earn a wage sufficient to climb above the poverty line. These Iowans — as citizens, voters, taxpayers, and parents — should know that the state’s public institutions are for them too. The Labor Center does all of this and more. It is one of the few arms of the University with a sustained and serious “extension” mission to the rest of the state. If the University is serious about its strategic plan, and about proving its value to those outside Johnson County, its best option is to nurture such forms of engagement with off-campus Iowa constituencies rather than abandon them. It is jewels like the Labor Center that demonstrate a commitment to the mission of a flagship public institution; which demonstrate that UI can and should be The University FOR Iowa and not just a University IN Iowa. 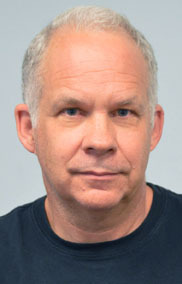 Colin Gordon is the F. Wendell Miller Professor of History at the University of Iowa and a senior research consultant with the Iowa Policy Project. He is the recipient of the Regents Award for Faculty Excellence (2016) and the UI’s Distinguished Achievement in Publicly-Engaged Research Award (2015). Editor’s Note: These are the remarks of Professor Elizabeth Heineman, chair of the History Department at the University of Iowa, prepared for a news conference Wednesday about the planned closing of the UI Labor Center. Professor Heineman was one of several speakers at the news conference. My name is Elizabeth Heineman. I’m a member of the History faculty at the University of Iowa, where I’ve taught for almost 20 years. The announcement of the closure of the Labor Center and many other centers and programs complemented them on their good work, but said they weren’t critical to the university’s academic mission and student success. I’d like to talk about the university’s mission and the Labor Center’s role in fulfilling it. The university’s mission is a three-legged stool: teaching, research/scholarship, and public engagement/community service. We’ve heard a great deal about the Center’s public engagement and community service, so I want to talk about the other two legs of the university’s mission: teaching, and research/scholarship. I’m here to say that the Labor Center — in addition to everything you’ve already heard — is also critical to these elements of the university’s mission. Let me start with some information about the Labor Center’s research activity. The Labor Center is a major recipient of nationally-competitive grants, which have totaled some $950,000 since 2002 — almost a million dollars. These attest to the Labor Center’s outstanding role in the research mission of the university. In fact, far from losing steam during the current stringent budgetary environment, the Center won a grant of nearly $200,000 from the National Endowment for the Humanities just this spring. The NEH doesn’t throw money around. This kind of grant from the National Endowment for the Humanities means that the Labor Center is on the map in the research world. This is exactly the kind of activity that helps to establish UI as a major research university. Why does the Labor Center keep winning these major grants? One reason is the Iowa Labor History Oral Project, nationally recognized as one of the country’s most important collections in labor history. 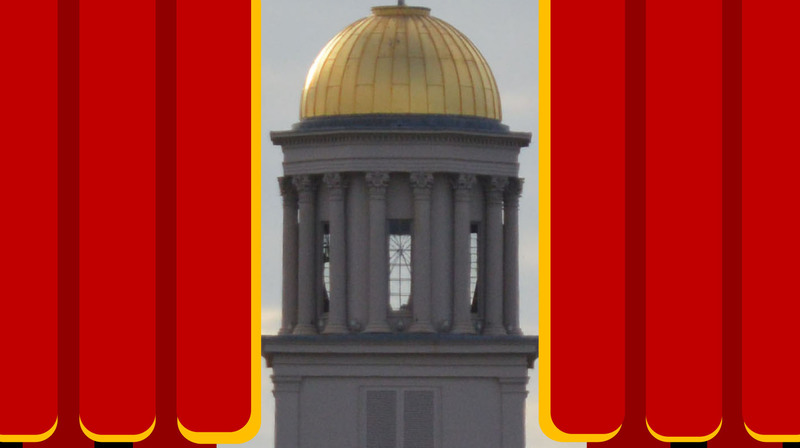 It has been used for cutting-edge research by Iowa faculty, staff, and PhD students as well as scholars nationally and internationally — and every time someone travels from far away to use our collections, it enhances the University’s reputation as a hot spot for research activity. Perhaps most important: the Labor Center is an integral part of the university’s teaching mission. We’ve heard a bit about graduate education, but the Labor Center is perhaps even more crucial to undergraduate education. Labor Center staff teach courses: not just in communities and on the shop floor, but in the undergraduate classroom. Their courses on labor history in the US and internationally are a crucial part of any basic education in both US and global history. In those courses, students aren’t just reading textbooks and listening to lectures. Rather, they’re using the Center’s oral history collection and performing their own oral histories, gaining experience in public history, not just academic history. Often, they choose to research their own hometowns. When they go home to do interviews, when they talk with their families and neighbors about their assignments, it helps to send the message that the University is committed to preserving the history of working Iowans and Iowa communities – and engaging our young people in the process. Finally, the Labor Center is very important in facilitating internships with community organizations. Those internships help students to gain jobs skills, and they provide fresh perspectives and energy for the host organizations. It’s possible that those who made the decision for closure weren’t aware of all these aspects of the Labor Center’s activity. No one can be in command of all detail. This is why a process of consultation and input is necessary — consultation with the people on the ground who work closely with the Center and who are aware of all aspects of its activity and its contribution to the university’s three-legged mission: teaching, scholarship, and public engagement. I would like to see such a process. Let’s hit reset, gather the information we need about what, exactly, would be lost if the Labor Center were to close. Otherwise, we risk losing a resource that is invaluable to the state and to the university alike.